Recognizing the urgent problem of antibiotic overuse, in 1998 the Centers for Disease Control and the Academy of Pediatrics have issued guidelines for when to use (and when not to use) antibiotics for the most common pediatric respiratory infections (Pediatrics 1998; 101:163–184). Ear infections, sinus infections, bronchitis, sore throats, and colds account for three fourths of all antibiotic prescriptions. These guidelines should not be rigidly adhered to for every child, but they do give a good general idea of when to avoid antibiotics. Strep throat is diagnosed with a Strep test, not by looking in the mouth. Antibiotics should not be given for sore throats without a positive test for Strep or another bacterial infection. One of the penicillins (not the newer, broad-spectrum antibiotics) is the best choice unless the child is allergic to it. Regardless of how long it lasts, bronchitis or a nonspecific cough illness in children rarely warrants antibiotics. Thick, discolored nasal discharge is a normal part of a cold and is not a reason for antibiotics unless it lasts longer than 10 to 14 days. 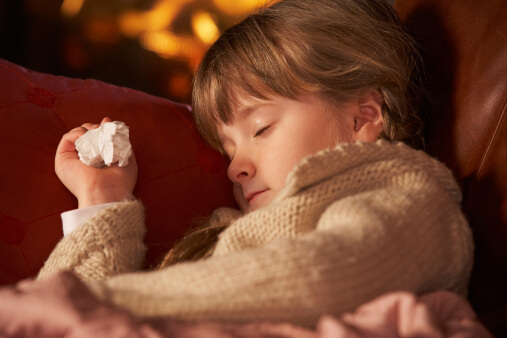 Most children should not be given antibiotics for a sinus infection unless there are both nasal discharge and cough without any improvement after more than 10 to 14 days. If there is some improvement by day 10, antibiotics are probably not helpful. Children with severe symptoms (facial swelling, facial pain, a fever over 103) may benefit from earlier treatment. Use the most narrow-spectrum antibiotic possible. Not all ear infections are the same. Each ear infection should be classified as acute otitis media (AOM) or otitis media with effusion (OME). Most children with ear infections have OME — fluid in the ear without signs of an acute middle ear infection. Half of young children with colds get OME. AOM is fluid in the ear accompanied by signs such as pus behind the eardrum, eardrum pain, distinct redness of the eardrum, or discharge from the ear. Ear pulling, runny nose, fussiness, and changes in sleep pattern can accompany either AOM or OME and do not establish a diagnosis of AOM. Antibiotics are appropriate for AOM with documented fluid in the ear and clear signs of acute illness. The Ear Check Middle Ear Monitor is a good way to confirm the presence of fluid. A red eardrum without fluid is not AOM (or OME for that matter). Short courses of antibiotics (as little as 5 days of standard antibiotics) are often sufficient for AOM in healthy children beyond the second birthday. Antibiotics are not useful for the initial treatment of OME, although they may be worth a try if OME lasts for longer than 3 months. OME is important in that it reduces hearing when present, but antibiotics are not the solution. Continued fluid in the ear found at an ear recheck after AOM is to be expected and does not necessitate another round of antibiotics, except in the less common situation where signs of acute infection are still present. Preventive antibiotics should only be given after three or more separate cases of documented AOM in 6 months or four or more in 12 months.